Online community groups are enticing because the members share common interests. But they also can cause people to make risky financial decisions. The reason: active community members believe if their risky behavior backfires, the community will come to their rescue -- which, in reality, isn't likely. That’s according to a recent study authored by a quartet of professors from three universities. According to the researchers, this study is the first to show that participation in an online community influences a person's financial decision-making in a systematic way, leading them to make riskier choices and behave in riskier ways. 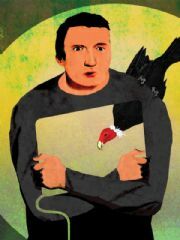 Taking risks because you believe your virtual buddies will cushion any bad outcomes is a bad idea, warn the researchers -- Rui Zhu and Utpal M. Dholakia, of Rice University; Xinlei Chen, of the University of British Columbia; and René Algesheimer, of the University of Zurich. Online bonds are much more tenuous than those found in the real world, the study explained. Members of online communities will likely not know each other offline and have no connections other than their virtual relationship. "Indeed, in many cases, they might not even know the real names or geographic locations of these individuals," the study says. "Thus," it continues, "online community members are unlikely to offer actual financial assistance, such as a loan or a gift of money, to community participants when negative outcomes occur as a result of their financial decisions." A moderating influence on a community member's risky behavior is how active they are within a community. If a member isn't very active in the community, they're less likely to engage in the riskier behaviors of active members, the study finds. The researchers looked at three settings. 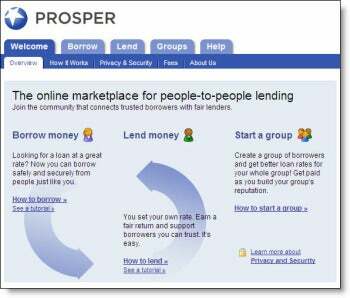 One was Prosper.com, a peer-to-peer online lending community, which has 1.11 million members and has created $249 million in personal loans. After tracking a group of 600 Prosper members -- some in communities, some not -- the researchers found that, over an 18-month period, community members engaged in riskier financial behavior than non-members. Another setting was eBay in Germany. There, for 22 months, the researchers studied the behavior of 13,735 customers with an interest in collectibles -- stamps, coins, books, art, and toys. Again, they found riskier behavior by community members compared to non-community members, as measured by the number of bids placed on an item and amounts paid for an item. A lab was used for the third setting. It allowed researches to test in a more controlled environment what they learned from the other settings. The researchers note that their study has implications beyond financial decision-making. It “raises the possibility that joining an online support group sponsored by a hospital, foundation, or advocacy group may make patients choose riskier treatments or courses of action," they say. "Similarly, members of an online (or offline) adolescent club may become more likely to engage in high-risk behaviors, some of which may be detrimental, relative to comparable non-members."